Recorder oil; alias 'Bore oil' is oil to be used to keep your wooden instrument healthy and in the best condition possible. This oil is used for the bore and labium (lip) of the instrument and keeps the wood of your recorder from drying out too much, and can prevent future cracking. 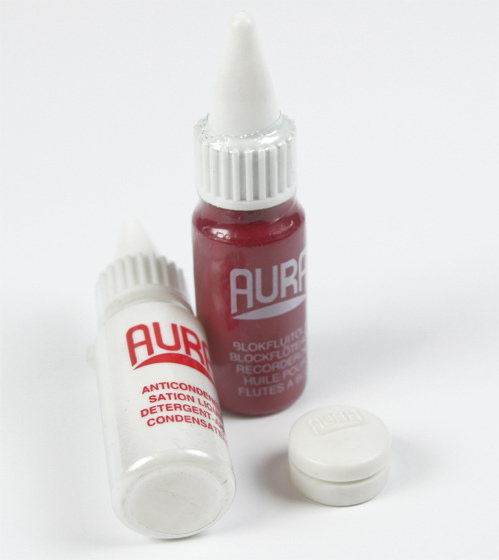 This product is manufactured by Aura but can be used with all makes of wooden instruments with bores. Follow all directions carefully.